TU Graz is extending its Student Mentoring project in the winter semester 2018/19 to a total of three faculties. This project is based on the Guided Start principle which is part of the TU Graz strategy of academic affairs and is intended to help prepare students for their first semester, contribute to removing barriers between teachers and students, and support newcomers during their first weeks at the university. Student mentoring will be offered in cooperation with the first semester tutorial organised by the student representatives. Tutors of first semester students of the respective degree programme supervise a group of ten to a maximum of 20 first semester students with the aim of establishing contact to mentors. Subsequently, group meetings with mentors are arranged in an informal setting, which will create an atmosphere where questions can be asked at ease. Selected lecturers act as mentors for first-semester students at TU Graz. In the future, the project will be expanded to include additional fields of study at TU Graz. As part of the first-semester tutorial, you can meet your mentor at the beginning of the winter semester of 2018/19 and obtain important information about your field of study. and helps you integrate into the University System . and have a chance to ask questions and discover what the teachers expect from you, as well as what the daily life of a teacher and researcher looks like. You will receive additional information about your mentor at the beginning of the winter semester of 2018/19 at the first-semester tutorial from your student representative. 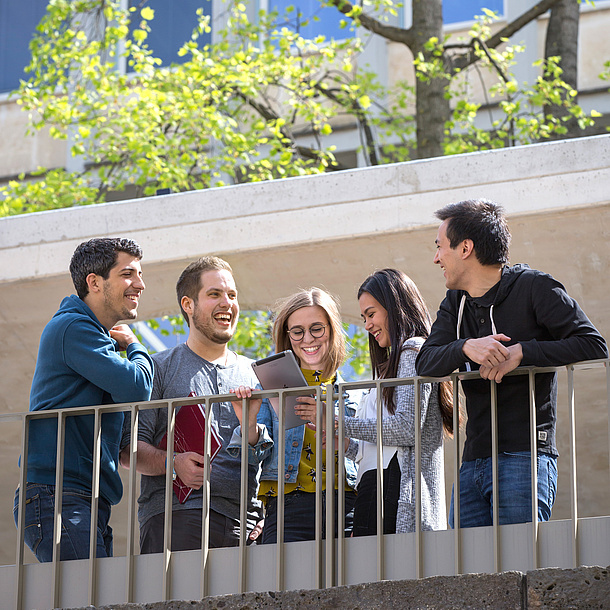 International students of the master’s programmes Geotechnical and Hydraulic Engineering, Information and Computer Engineering, Computer Science, Software Engineering and Management as well as Biomedical Engineering will receive further information during the International Welcome Days on 28 September 2018.